A simple but extremely tasty snack or dessert. So easy you could even get the kids helping! Preheat oven to 200°C on a fan setting. Slice the strawberries evenly into thick pieces. Cut each pastry sheet into 6 rectangles, and place the pastry onto baking sheets lined with baking paper. Smear some strawberry jam down the centre of each pastry sheet, and top with sliced strawberries. Brush the edges of each sheet with milk, then bake for 15 minutes until golden and puffed. 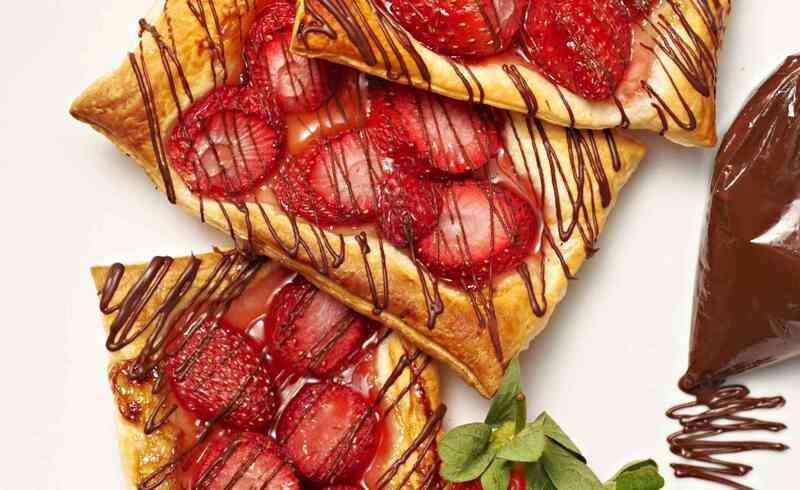 Melt the chocolate, then drizzle each Strawberry Danish with chocolate when cooled.